Journals and diaries were written using paper and pen several years back. With the advancement of technology, writing these entries have also become digital. The blog & blogging became a new platform for people to write about their experiences and thoughts. Entries are called posts and they are listed with the newest entries first. Common Blogging Mistakes Beginner Bloggers Must Avoid - People also used to search what are the biggest mistakes bloggers make while blogging?, Any blogging tips for beginners that valid Google algorithm, most trending blogging topics for beginners, things to know to make money blogging for beginners, quick blogging tips, and tricks, strategies for personal blogging for beginners. To sum up all the answers, the page itself explains you. You’ll make mistakes as a beginner, as other bloggers did. One of the typical blunders that novice bloggers do is making their blog everything about selling their products and services. They start to make money blogging. This shouldn’t be the case as your readers will quickly lose their interest reading their posts. Instead, write something that you know your followers would find helpful or would enjoy reading. This builds loyalty and trust, thus developing your relationship with them. They would also perceive you an authority in this field. With this, they are more likely to purchase your product or get your service when you pitch it to them. You are also not limited on the content to post. Aside from typical text articles, you may also share photos, videos, and illustrations, as long as your audience would find them helpful and interesting. 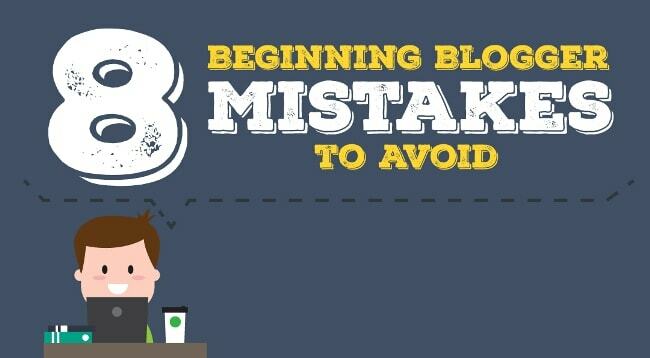 Check out blogging mistakes you should avoid quickly to start a successful blog. 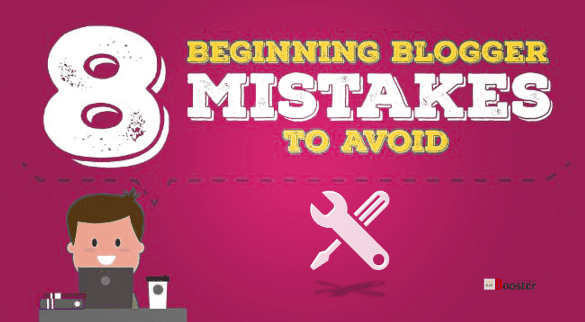 Here we have listed most common blogging mistakes that beginner bloggers must avoid. Learn to fix blogging mistakes. Bloggers are regular people like you and me who wish to share their stories or the information they know to their readers. More people have also started to read blogs, which is why marketing professionals and businesses saw an opportunity to profit in this field. 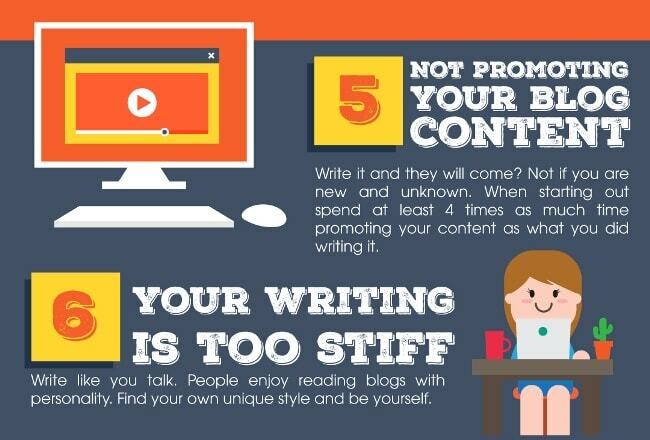 Blogging is now an important tool in reaching more potential clients and improving their brand’s online presence. If you are a business owner, blogging is a great way to build a stronger relationship with your readers, who are also your potential customers. There’s nothing difficult about creating a blog if you see it from afar. However, if you take a closer look or more so when you experience doing it yourself, you’ll soon realize that it is not as easy as others think it is. 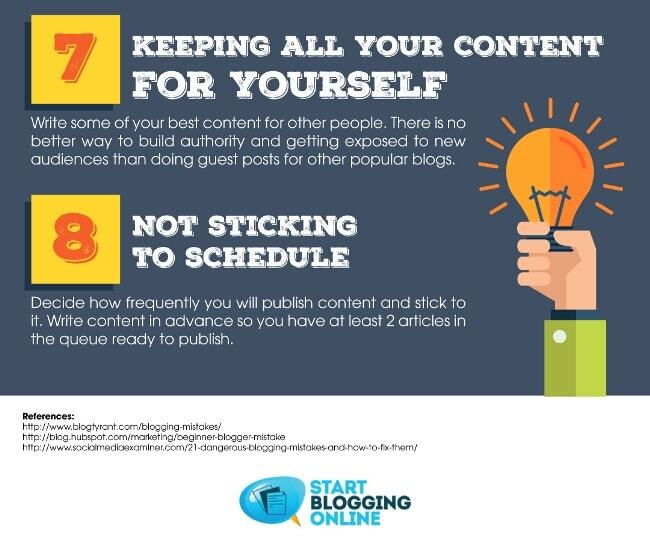 There is more to managing a successful blog than logging in with your details and publishing a post. 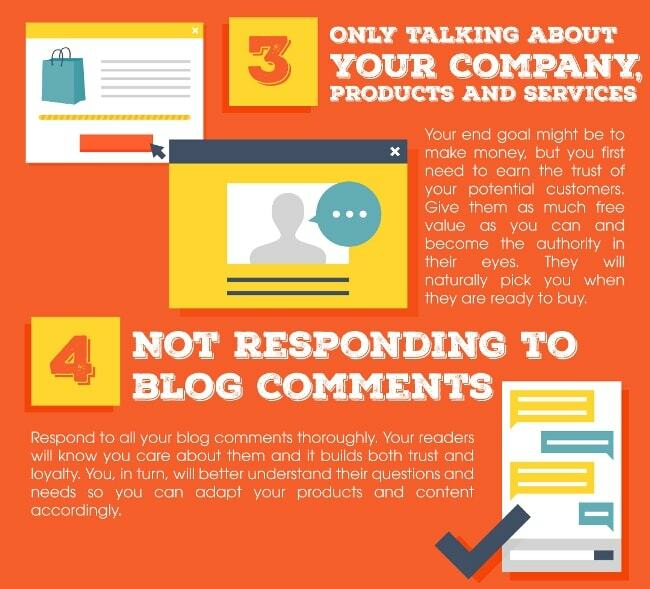 Many new bloggers also fail to reply to the comments made on their blogs. Make sure to take the time to read these comments and respond to them so your readers would know that their feedbacks matter to you. This would make them feel valued and you’ll also know what areas work and what needs to be improved on your products and services through these. While blogging can be challenging, especially if you’re a first timer, these challenges can be overcome. Do not let them overwhelm you as it would get better as you move forward. Mistakes would be made, just like with any new endeavor that you take, but use them as learning opportunities for you to grow as a blogger. All bloggers started as a novice and they too had their own newbie blunders. Their mistakes could also be the blogging lessons for you so you’ll know what to do when you face them. This would save you from doing the same errors that they have done. 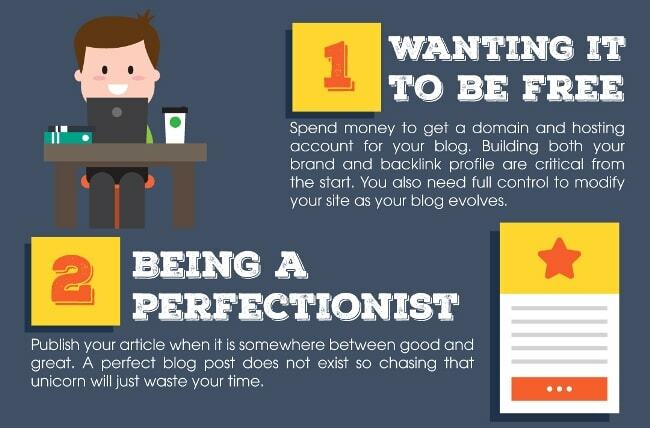 We want you to be a successful blogger in the future that’s why we made an infographic listing the most usual blunders that new bloggers make so you could avoid them.